When you shop for sunscreens, you’ve probably noticed products available with SPFs ranging from 15 to 100. You would think an SPF of 100 would be more effective than one of 15, but it’s not as simple as that. So, what exactly do all these numbers mean? Spencer further explains that SPF 15 will block about 94% of UVB rays while an SPF 30 blocks 97% and an SPF 45 blocks about 98%. “After that it just gets silly,” says Spencer. Doctors like Farah Ahmed, general counsel for the cosmetics industry group Personal Care Products Council, tends to agree, but adds that high SPF products may protect better against long term skin damage and exposure related skin cancers. Generally, an SPF of 30 is recommended. 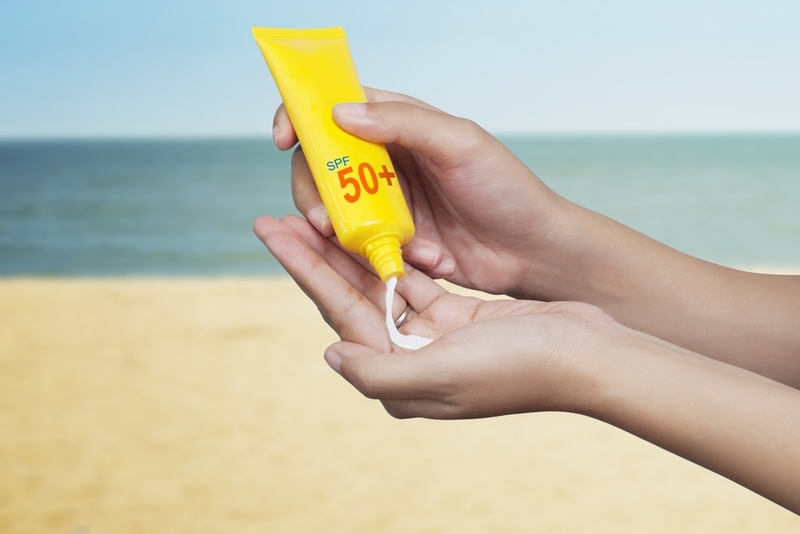 Dr. Steven Q Wang, MD and director of dermatologic surgery and dermatology at Memorial Sloan-Kettering Cancer Center, points out ways in which using sunscreens with a higher SPF can even have negative effects. Since SPF protects against UVB rays only, and UVB rays are responsible for sunburn, individuals may not burn while using these sunscreens. However, this does not mean they are not susceptible to damage from UVA rays which cause premature aging. To these lengths, Europe and Australia have adopted UVA testing guidelines and measurement standards and capped the SPF of sunscreens at 50. The U.S. Food and Drug Association may follow suit. Wang also points out that people who are wearing an SPF of 50 or higher, may adopt a false sense of security and may stay out in the sun longer. They may not make wise choices like seeking shade or wearing sun protective clothing. Sun damage can take place even if skin is not becoming tan or reddening. No matter what produce you choose, water resistant sunscreen should be applied liberally a half hour before you go outdoors and should be reapplied every two hours or after you are swimming or sweating. Look for broad spectrum sunscreens with ingredients like zinc oxide and titanium dioxide, which are less likely to wash off and effectively protect against both UVA and UVB rays. Avoid avobenzone products which are not stable and oxybenzone, which is absorbed into your skin and has demonstrated to be a hormone disruptor. So, what’s your number? Let us know in the comments section below! With all the information available about the damaging effects of sun exposure, it seems as if sunscreens are no longer just an option, they are pretty much mandatory. But many of us dislike the chemicals sunscreens contain. Well, for those of us who feel that way, there are mineral sunscreen formulas on the market… but not all mineral sunscreens are safe. Read on to find out the best products for you in natural sunscreens. Let’s start by looking at why we might want to avoid chemical sunscreens. They have been found to accumulate in body fat and breast milk and have been linked to hormonal disruptions like early onset puberty, low sperm count, breast cancer and allergic reactions. It is also said that they absorb UV rays, allowing them to penetrate into the skin where they can cause free radial formations that can lead to premature aging and skin cancer. For these reasons, natural sunscreens, or those that contain only zinc oxide and titanium dioxide as their natural ingredients, are more popular than ever. They work against both UVA and UVB rays and are effective immediately after application, unlike chemical sunscreens that can take 30 minutes before they start working. However, health and beauty writer Liz Thompson warns us to beware, as certain mainstream brands simply add these minerals to their sun protection line up without actually reformulating to safe products. These products may still contain harmful chemicals. Consumer Reports questions the effectiveness of natural sunscreens claiming that many products that use zinc oxide as its only active ingredient were getting feedback from customers that the products didn’t work as well as they claimed to. Further investigations yielded lotions with an SPF 50 only performing at an SPF of 8. CR goes on to say that they believe the natural sunscreens perform poorly because most mineral sunscreens contain particles which do not form a uniform film on the skin that is necessary for maximum sun protection. They go on to recommend using a mineral product which comes close to its SPF (since they claim none quite add up) or going with a chemical sunscreen choice. Organic sunscreens are another option. These products, likely to contain oxybenzone as their active ingredient, absorbs UV light, protecting your skin from UV damage. However, they come with their own drawbacks, including a higher risk of allergic reactions. Also, there is the possibility that the compound can be disruptive to hormones like estrogen. However, studies have proven that while oxybenzone does bind to estrogen, there was not enough evidence to suggest that the absorption affected hormone levels. So, what’s your take on it? Mineral, chemical, organic? Hit us up in the comments section. We’d love to hear from you! Don’t leave your skin vulnerable to sun damage this summer! Follow these simple steps to keep your skin safe, so the only thing you have to worry about this summer is finding a good chair at the pool and an ice cold beverage. Don’t expect your makeup to serve as your only protection! Use a moisturizer with SPF 30 as well as a foundation or tinted moisturizer with sun protection. Also, give your moisturizer some time to really sink into the skin before you move on to your primer- you don’t want to risk wiping off your protection when you move on to the next step of your routine! Most sunscreens will only protect your skin for a few hours- especially if you are at the pool or the beach! You should reapply your SPF a few times a day- or every 80 minutes if you are swimming or sweating. Read the label on the bottle to figure out exactly how often it is suggested to reapply for each brand of sunscreen or moisturizer. Don’t forget to throw a bottle of sunscreen, or a setting spray with SPF, in your bag before you leave the house to ensure your skin will be protected all day long! Even if you use a moisturizer with SPF religiously, you may be neglecting some of your most sensitive skin- the areas around your eyes. Some kinds of sunscreen can sting your eyes, so try to find an eye cream or concealer formulated with SPF to protect those peepers! Always getting those painful sunburns where your hair is parted? Try throwing on a cute, wide brim hat next time you’re going to be outside for an extended period of time. 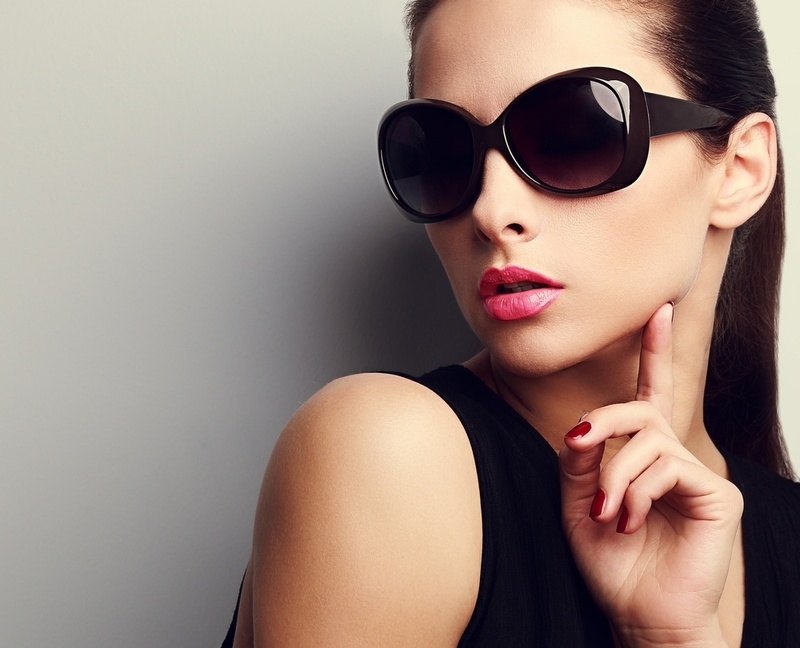 Oversized sunglasses are also a trendy way to protect your eyes from sun damage. Mix up your looks this summer with cool accessories, and protect your skin at the same time! While wearing sunscreen on your face every day is important, we tend to spend more time outside during the warmer months, so extending our sunscreen coverage is essential. Applying sunscreen to your ears, neck, chest, shoulders, and hands can do a lot to help protect your skin from sun damage. It doesn’t take long for the stronger summer sun to harm your skin, so adding these extra steps to your morning routine will help you remember to do this every day! We’ve all heard this tip, and no one likes to follow it, but whenever possible, it is best to limit your sun exposure during peak hours. Taking a lunch break inside while the sun is highest in the sky (and using this time to reapply your sunscreen) can help decrease your chances of getting burnt. We hate to say it, but less sun is always better for your skin’s health. No need to skip out on all of the fun outdoor activities that summer brings, but don’t forget to protect your skin first! You may or may not have heard the term “Petechiae,” but you’ve probably seen its effects on the skin. Petechiae are tiny spots that appear on the skin and look like little pinpricks. They often appear in clusters, and can look like a rash if there are a lot of them close together. Usually, Petechiae are harmless, and will go away after a few days. Straining for an extended time: Extended periods of strain can cause capillaries to break, resulting in Petechiae. Even something as simple as intense coughing can cause capillaries to break and bleed. Things like holding your breath, weightlifting, and many other activities can also cause the kind of bleeding that leads to Petechiae. These types of activities often cause Petechiae to form on the face, often around the eyes and mouth. These types of Petechiae will usually clear up on their own, but can cause discoloration on the face. Side Effects of Certain Medications: If you don’t know what is causing the spots that are forming on your skin, check to see if Petechiae is listed as a side effect of any medication you may be on. There are several different medications that can result in broken capillaries, including penicillin. Medical Conditions: Common illnesses like mononucleosis and strep throat can cause Petechiae, but the spots can be indicative of very serious conditions as well. Things like leukemia and endocarditis are also associated with the formation of Petechiae. Be sure to consult your doctor if you notice a lot of broken capillaries that are not going away to make sure there is not an underlying cause. Injuries and Extreme Sunburn: Victims of strangulation or smothering will often have Petechiae on their faces, and people involved in car crashes can develop the condition as well. Extreme sun exposure can also result in broken capillaries in some cases. The first step is to figure out what is causing broken capillaries to bleed. If you can’t find out what is causing the condition, see a doctor immediately. They will help you figure out if the cause of the Petechiae is serious. Treat the cause. The Petechiae will heal on their own, but if you aren’t treating the cause, more will form. This may mean taking it easy at the gym, taking the time to recover from a cold, taking medication for strep throat or another illness, or switching medication to one that doesn’t cause Petechiae. While you are waiting to Petechiae to heal, putting an ice pack on the affected areas can help ease any swelling or discomfort that the broken capillaries cause. Give it time. Unfortunately, Petechiae can only slowly dissipate on their own. Taking it easy and giving your body time to heal itself is really the only way to go! Every skin type can benefit from a facial mask. The problem isn’t enjoying them; it’s finding the perfect type for each skin type and skin problem. There seems to be an endless list of combinations to try and narrowing down the choices can be frustrating at times. Face masks can accomplish a plethora of skin-boosting benefits. They can soothe dry skin, eliminate and prevent blemishes, prevent oily spots and help skin glow. Here are some of the best types of facial masks to improve skin. If a specific area of the face needs to be treated, a full facial mask might not be necessary. 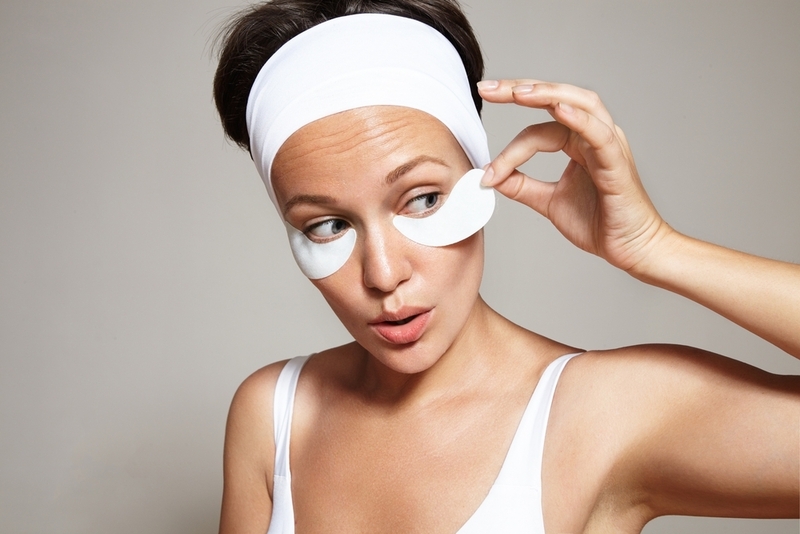 Eye masks are a great way to get fast, great results for puffy eyes and wrinkled, sagging skin. They can be applied during the morning while eating breakfast or completing a few tasks around the home. Results last all day, if not longer, and with plenty of over the counter treatments available, there’s no need for measuring or mixing. Just like it helps to perk up your brain, a facial mask with coffee as the main ingredient can perk up facial skin. It can help with under eye puffiness and really brighten up the complexion, all in a matter of minutes. The smell is also heavenly and surprisingly relaxing. For those who have never tried a charcoal mask, the benefits can be incredibly impressive. Activated charcoal can help to draw out impurities from pores and prevent blemishes from ever forming in the first place, while eliminating any existing imperfections. For anyone suffering from acne, a charcoal mask is highly recommended as both a treatment and preventative measure. Probably the most popular type of facial mask, clay masks work for pretty much every skin type. They’re versatile yet effective. 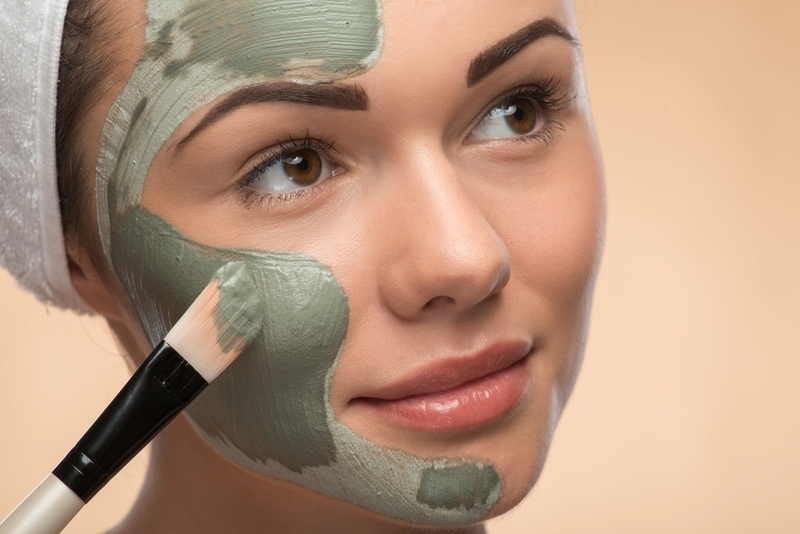 Despite clay masks being the most popular, most people use them incorrectly. It’s important to understand that the mask is doing the most for your skin when it is still damp. 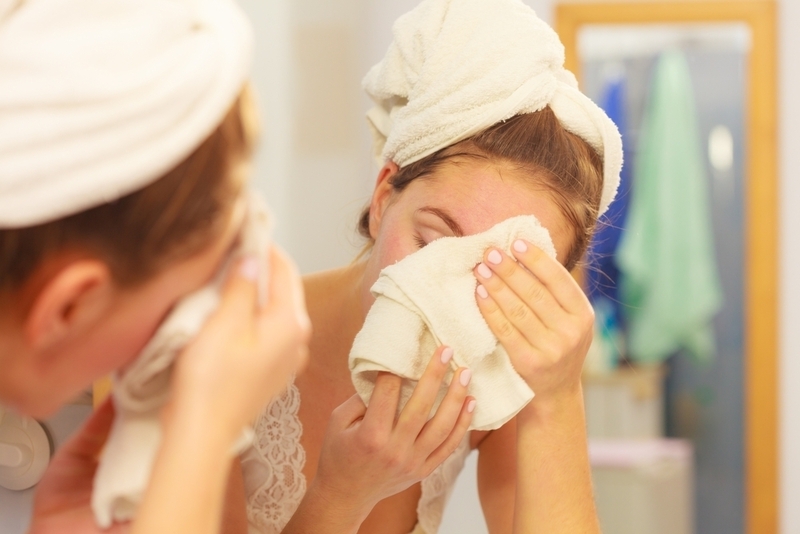 If the mask is allowed to completely dry, it can actually have a negative effect by causing irritation and dehydration. Making homemade masks out of ingredients found in the refrigerator seems to be all the rage lately. Mother Nature has provided plenty of fresh ingredients that can transform skin. There’s really no limit to what can be mixed together. Try berries, avocado, yogurt, honey, oats and more. Just be sure to mix the ingredients right before using them and avoid storing leftovers for too long. Facial masks are a great way to improve skin tone, eliminate blemishes and add a refreshing and energizing glow. 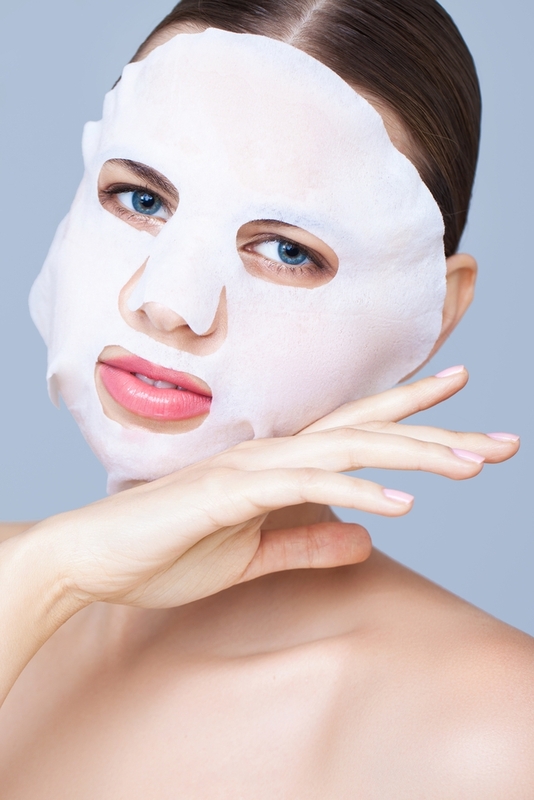 Use facial masks for special occasions, as part of a weekly skin care regimen or on an as needed basis for skin issues. Whether homemade or store-bought, facial masks should always be used according to specific instructions to avoid negative side effects. Never be afraid to try a new facial mask. There’s always a new combination of beneficial ingredients to experiment with. Botulinum toxin type A is a biological substance that is produced by specific bacteria. In large doses, botulinum toxin type A can be highly toxic, but when used in very small doses, it can be used to treat a number of medical conditions. Botulinum toxin type A is most frequently referred to as Botox, which is a brand name of botulinum toxin type A. To find out more about what botulinum toxin type A is and how it is used, continue reading. What is Botulinum Toxin Type A and What Does it do? Botulinum toxin type A is a neurotoxin that is produced by the bacterium Clostridium botulinum. There are eight distinguishable exotoxins produced by Clostridium botulinum: A, B, C1, C2, D, E, F and G, according to an article published in the Indian Journal of Dermatology. The same article states that “all serotypes interfere with neural transmission by blocking the release of acetylcholine, the principal neurotransmitter at the neuromuscular junction, causing muscle paralysis.” While muscle paralysis sounds like it would be a bad thing, the paralysis is completely reversible, which is why people who use Botox have to go in every few months to maintain results. Botulinum toxin type A has results that last an average of three months. Botox is the primary brand name under which Botulinum toxin type A is sold, however, there are other brands like Dysport and Xeomin (in the UK). Why is Botulinum Toxin Type A Used? When it comes to cosmetic uses, there are some misconceptions. Many believe that Botox is helpful in the removal of fine lines, but Botox is only helpful in treating hyperkinetic wrinkles, or wrinkles that are caused by repeated muscle movement. Botulinum toxin type A is an incredibly effective way to reduce wrinkles like frown and smile lines, crow’s feet and mental creases. The rationale behind using Botox for hyperkinetic wrinkles is that motion wrinkles occur due to repeated contractions of your facial muscles. By interfering with the cause of the wrinkles, Botox allows the skin to gradually reform itself, significantly reducing the appearance of the wrinkles. If motion wrinkles were shallow to begin with, Botox can make these wrinkles virtually nonexistent, but deeper set wrinkles may require additional treatment in the form of dermal fillers. One of the most common concerns surrounding botulinum toxin type A is its safety, but it is generally well tolerated and it produces little to no side effects. Experts recommend choosing your cosmetic surgeon very carefully, because ultimately the effectiveness and safety of Botox injections depends on the skill and expertise of the person who administers the injections. If you are concerned with wrinkles that have been caused by repeated facial movement, then Botox is an excellent option to consider.